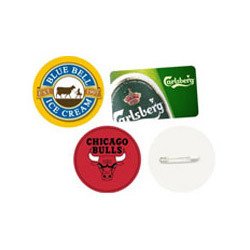 We are the leading manufacturer and wholesaler of Plastic Badges. Our offered products are Printed Plastic Cards, Cards Lanyards and Conference Badges. We make Plastic Button badge. 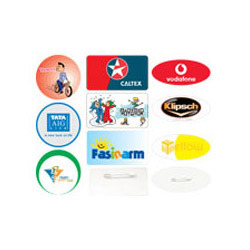 We are among the eminent names in the industry for manufacturing and supplying Plastic Badges to our revered customers. These badges are quality approved by our diligent professionals and offered at cost effective prices. They are widely demanded for displaying information and can be printed easily. Being a client-centric organization, these badges are offered at cost effective prices. 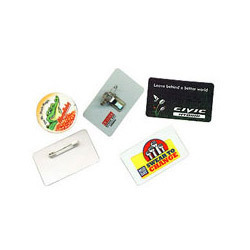 We are among the distinguished names in the industry for manufacturing and supplying Plastic Badges. 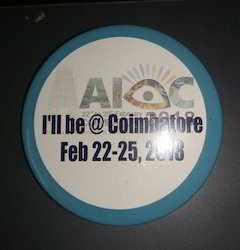 The offered badges find wide usage in various institutions, offices and events for displaying personal information about the user. They are made from high quality material employing high end machines. These are resistant to wear and tear as well. We are known for timely delivery of orders owing to our transportation network. We are among the celebrated names in the industry for manufacturing and wholesaling Plastic Badges. The offered badges are made in tune with the international standards and the prevalent market trends. They are used for displaying personal information about the personnel and participants of events and organizations. These badges can be hung around the neck with the help of a string.